View More In Memory Card Adapters - Page 2. 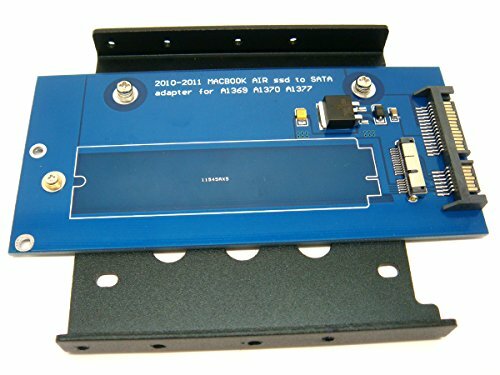 ST2011SA-D Apple MACBOOK AIR A1369 A1370 A1377 64G 128G 256G ssd to 3.5" SATA converter Adapter card Alow 2010-2011 macbook air SSD to work as normal SATA SSD in desktop. Notice: The ssd in the photo is not included in the package.